So, here we are. 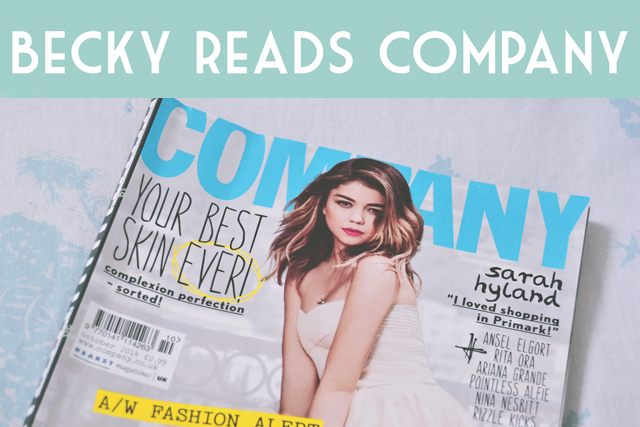 Company has ceased publication (however much they try to dress it up as an exciting new journey in online media) and we have the final Becky Reads Company. Except, no we don't, because I didn't get to write a post for September's issue before jetting off. Hooray! Here's the plan: I will post October's first because, you know, it's current and that, then I'll post September's as a bonus post next month. Good plan, Batman? Awesome! Oh, by the way, don't think that because this is the final issue, I'll be all nice and soft. If, by some miracle, they managed to pull out an amazing, fully-proofread issue, they'll show that they were capable of it all along, were just being lazy and therefore deserved to go out of print. "Life is a journey; a twisting, turning, no-idea-what-is-around-the-corner journey but if you face it knowing you've done your best [and] tried your hardest...well then you've won" (p. 9). Yeah, that attitude doesn't really work in a lot of careers. "But I've done my best". Congratulations, now do your job properly. Well, that's it. I'm not going to lie, that was thoroughly anti-climactic. I was hoping Company were going to go out with a bang but I guess not. Just another mediocrity to add to the list. Although I thought it was good to introduce some politics with the "Too Young to Vote?" I found it really disappointing that there was no mention of the fact that 16 and 17 year olds in Scotland will be voting in the Independence Referendum next week, arguably a far bigger decision than a general election. I know that the writer is young but it just showed a total lack of research. Think I'll miss your posts more than the magazine itself! This is very true! I'm going to miss writing these posts. It really annoyed me the way they just made up words like that. Agreed. Company is tosh. Maybe that redundant question mark could be used in the introduction to the article about Scottish independence? Haha this is why I like you! I sacrifice myself for the good of bloggers everywhere! I was really excited too. I remember the general election in 2005, and being really frustrated that I was 17 so I couldn't vote. When I finally got to vote in a general election, it was the most exciting thing ever. I can't wait until next year! We can both buy it and be skirt twins! I am going to miss these posts - easily the best thing about Company! And Alfie Deyes annoys me too... especially this new 'book' he's written ripping off Keri Smith, grrr. I love the concept and the vibe of the magazine, but they lost a ton of readers through a lack of written quality. When I heard they were going out of print the first thing I thought of was 'Becky reads Company'. Oh how I will miss this. Haha I got so many tweets that day! Aw I love Company but the mistakes were shocking! Here's to hoping the online one is better! I'm not gonna miss Company, but I will miss your posts! I feel like Company's changed over the years - and I don't think its just because I've got older. Back in the day, it was cool and edgy, and as an 'alternative' kinda girl, I loved reading it. The music section was great, I remember them having a monthly page where a music writer/blogger/someone generally involved in music would take over the page. 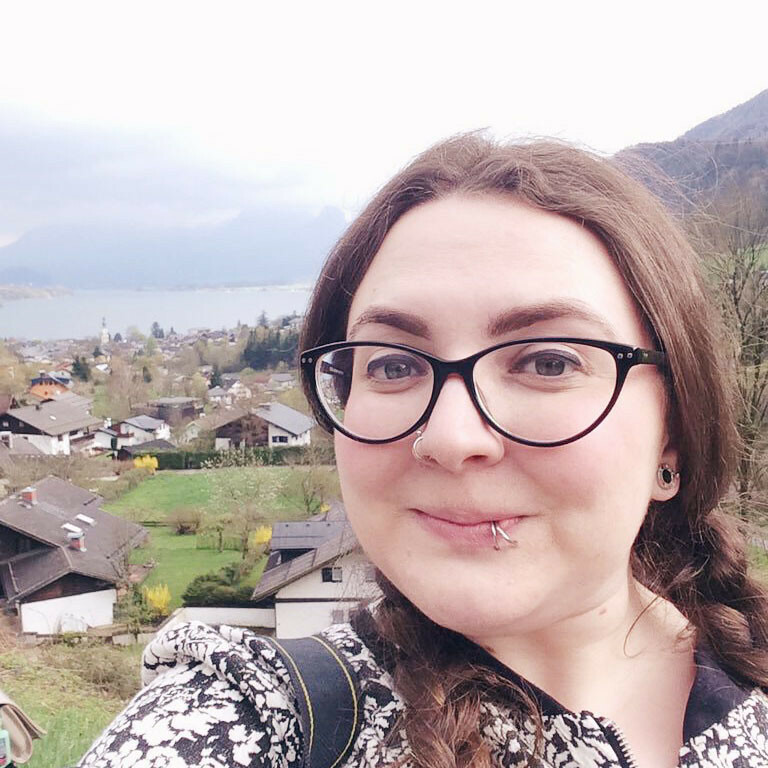 There are bits I still love - Gem's column is always a fun read, and I like how a lot (not all!) of their fashion is affordable. Although I do like how they've championed bloggers, I feel like it's only really been a certain 'type' of fashion-specific blogger that they've really given the spotlight too. It's a shame, as the 'old Company' attitude would have been much more accepting of a wider range of bloggers that didn't look like they've just walked off an Urban Outfitters shoot. And I don't get the obsession with YouTuber culture all of a sudden - what happened to the cool, quirky Company? They definitely wouldn't have fawned over Alfie Deyes and the like. I guess it's not my target audience though...never mind. I remember that music section- That was great. I definitely agree about the way it's changed over the years. It's really sad. haha you always make me laugh with these and I agree with every word!! the whole 'Zalfie' thing does my head right in and I think putting Alfie in a magazine like Company is a very wrong move (not that it matters now like)... Zalfie's target audience are pre and early teens yet Company seemed to aim their magazine at 17+ girls. And as for not giving anyone else a turn, well a lot of mags & brands are guilty of that! In this industry it's not what you know it's who you know; Kayla is probs mates with the former editor or something! Such a good point about the target market! I didn't even think of that- What a strange decision! I never liked the redesign either. It felt like a cheap supplement to me. Yeah I can't say I was really impressed with this issue. Saying that, I also got Cosmo and I wasn't blown away either. Awkward! Must be a Hearst epidemic!